Do you remember what it was like to find the perfect yoga class? When you felt comfortable with the teacher, you loved the sequence and by the end of the class you felt like a new person? Your perfect class isn’t the same as anyone else’s. Have you thought about finding the right way of eating? Just like in yoga, the perfect diet for you isn’t the one for your Mom or your boyfriend. When you start to eat the right foods, prepared in the right way, you’ll notice a huge boost in energy and well being. You’ll also say goodbye to health problems such as constipation, sluggishness and even anxiety. Typically the western approach is to pigeonhole everyone into the latest fad diet, or to completely ignore the importance of diet to health. Ayurveda, yoga’s sister science, recognizes that each person is unique, and there’s no one-size-fits all approach to how we eat and live. Ayurveda is an alternative medicine dating back thousands of years to the vedic civilization . Taking an Ayurvedic approach, you learn to activate your body’s innate healing ability, so that you can come back to balance. Want to learn this yourself? Join us for the Balanced Living Through Ayurveda: Ayurveda Foundations course with Ayurvedic Practitioner, Yoga Teacher and Registered Dietitian, Jessica Blanchard, don’t forget that at the end of the course we will taking two people to join us in the Detox Retreat in Phuket, Thailand during summer. By the end of the course you’ll have deep understanding of Ayurveda and how to apply it to your life. You’ll also sharpen your own observation skills, so you’ll feel ready to put the information into practice. You’ll understand how to eat for your type and how to design a simple Ayurvedic meal plan for each dosha. You’ll also know how to plan for seasonal changes, and to tweak your diet accordingly.You’ll also learn how to tweak your yoga practice and exercise regime for your dosha. You attend the Ayurvedic lectures once per month that are a part of our 200-Hour Teacher Training. After the workshops, you’ll enjoy a delicious Ayurvedic lunch with the other participants. Price includes lunch, chai and a handout for each session. Students booking all eight session will receive a complete handout. Please book at least 2 days ahead so we can plan for your lunch and printed materials. All lunches are vegan and prepared with love by Erin Gulbengay. October 14 – Clear up any confusion about your dosha. We’ll do a complete Constitution Analysis, Physical, Mental, Behavioral. We’ll break down the difference between your nature and imbalance: Prakriti vs. Vikriti. And we’ll cover the dosha times of day and lifeline cycles. November 11 – Understanding Vata Dosha: Vata Dosha, the principle of movment, it’s 5 Subforms, Characteristics, Balancing and Imbalancing Factors, Food, lifestyle, and yoga to balance. Vata is the most important dosha in modern life because it controls the nervous system and goes out of balance easily. December 2: Understanding Pitta Dosha: Pitta Dosha, the principle of transformation, it’s 5 Subforms, Characteristics, Balancing and Imbalancing Factors, Food, lifestyle, and yoga to balance. Pitta is especially important for those living in hot and humid climates, and women in peri/premenopause. January 13: Understanding Kapha Dosha: Kapha Dosha, the principle of cohesion, it’s 5 Subforms, Characteristics, Balancing and Imbalancing Factors, Food, lifestyle, and yoga to balance. Kapha is important for children in the growth phase of life. Balance Kapha also helps those who need to lose weight. February 24: Introduction to Ayurvedic Anatomy: Seven tissues (dhatus) and channels (srotas), Digestion and Indigestion: Agni and Ama, Detoxing in Ayurveda. Learn a simple detox that will prepare you for a healthy spring and summer. March (break): We host Sudhir Tiwari for Classical Yoga & Pranayama this weekend. 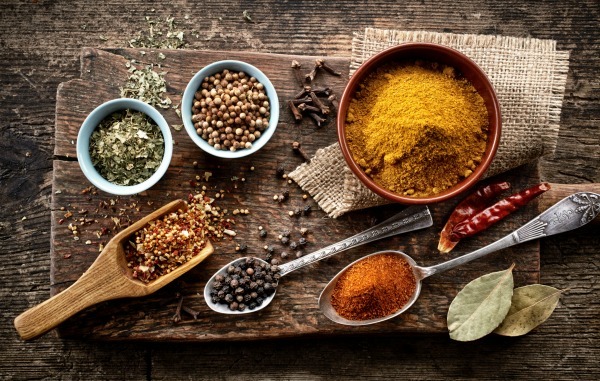 April 7: Ayurvedic Nutrition: All about Ayurvedic nutrition, the six tastes, and the ayurvedic approach to eating. You’ll learn the details behind the ayurvedic diet. After this module, you’ll understand why foods are good or bad for each dosha. May 19: Bringing it together: Designing a diet for families, seasonal eating yoga practice for each dosha, pregnancy. Build upon Module 7 by learning how to tweak a diet for families, mixed constitutions, seasons. Also learn the Ayurvedic approach to pregnancy. Review yoga practices for each dosha. Jessica Blanchard is a yoga teacher, ayurvedic practitioner and registered dietitian. Founder of Balance Yoga & Wellness in New Orleans, Jessica has taught yoga for more than thirteen years and practiced Ayurveda since 2005. She’s devoted to helping people realize the power of yoga and a good diet. Jessica is authorized (Level 2) to teach Ashtanga Yoga by Sri K. Pattabhi Jois. She’s been a direct student of Sri O.P. Tiwari, head of India Yoga Association and leader of Kaivalyadham since 2003. Jessica studied Ayurveda in India with Dr. Sunil Joshi and in France with Atreya Smith at the European Institute of Vedic Studies. She has an MA in French and Sociology, and is a Registered Dietitian/Nutritionist (RD, LDN). Erin Gulbengay is a vegan chef and yoga teacher. She brings her love for healthy living and food to each meal that she prepares. Currently assistant breadmaker at Gracious Bakery, Erin will help you to understand how to cook simple, tasty recipes that are quick to prepare.